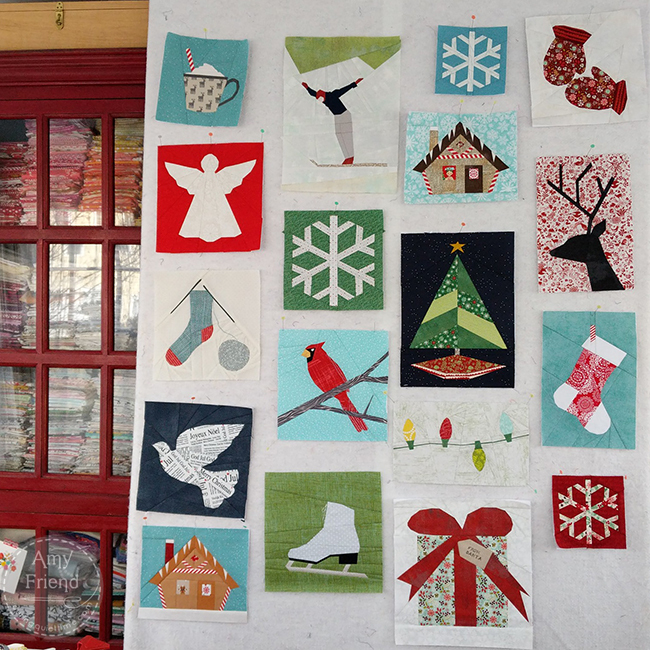 Blog Christmas Quilt Progress and New Pattern! Christmas Quilt Progress and New Pattern! Every year, for the last several years, I have designed and sewed a new block or two for my Christmas quilt. I really enjoy the process of adding to it each year and am not in a super rush to finish. 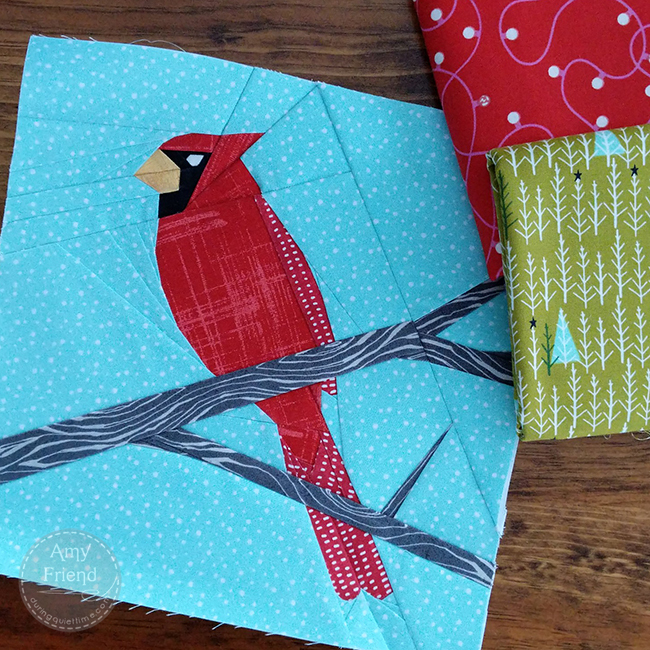 This year, I added the Cardinal block, which is an older pattern of mine, originally designed for my garden quilt. But I thought it would be great here for a splash of red! 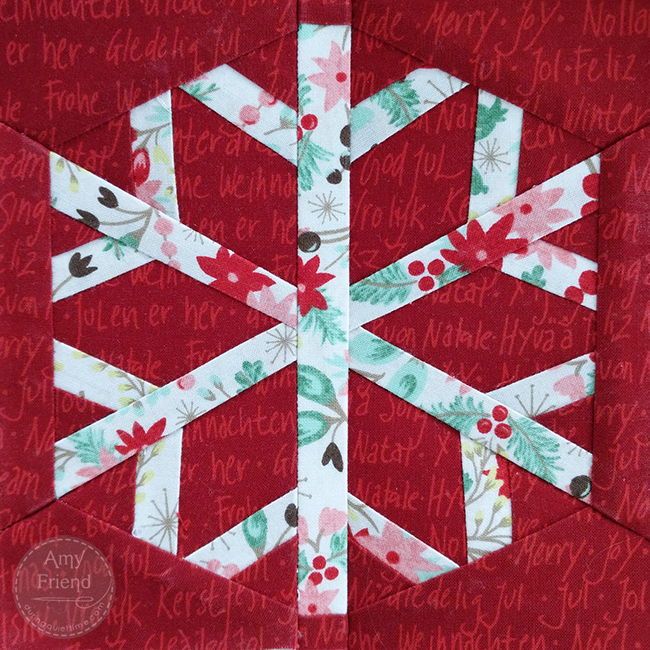 I also added a smaller version of my Snowflake Block (it comes in 3 sizes) to add a little more red, as well, and more variety to the block sizes. 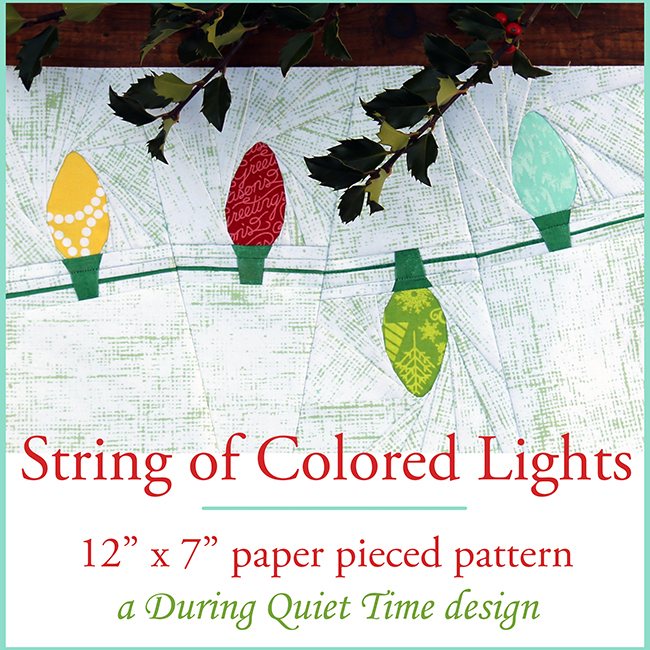 This year, I designed one new pattern, this String of Colored Lights. I decided that the layout needed a more horizontal block. The colored bulbs are a great way to pull the colors together in the quilt top too! This pattern comes with a few options. The original block, as pictured, is all paper pieced and measures 12” x 7” when finished. Due to the challenges presented by bulky seams, the pattern is also offered without the cord that runs from light to light. This makes piecing easier and the cord can be hand embroidered instead. And finally, mirror image pattern pieces for both versions are also provided so that you can alternate between the original block and its mirror image for a continuous chain of lights. This could be perfect for quilt borders or a table runner. Doesn’t it look cute in a continuous string! That’s a lot of piecing but worth it in the end! Are you sewing for the holidays this year?